Ah, Florida. Scantily clad bodies. Fruity drinks with umbrellas. And lots and lots of sunshine. In the spirit of summer, as well as TV's favorite over-the-top ladies man, Barney Stinson (who we know would fit right in to the scintillating state), we say: "Swim-suit up!" people. It's time to get serious about that Florida vacation. We found deals on hotels, airfare, and fun-in-the-sun activities that'll take your summer vacation from awesome to LEGEN ... (wait for it) ... DARY! 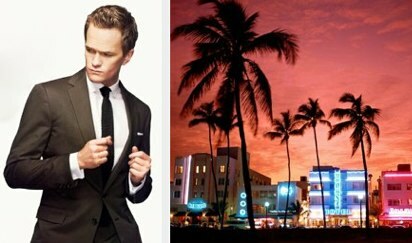 Ready to get down and shake it up in Miami? Step one: book a cheap 1-way flight from AirTran (from $68.30, a low by $25; expires July 7). There is no step two. (Side note, do not pretend to be an international business man on his way back from Japan. Girls see right through that, and airport security might have some questions.) Then, it's ¡Bienvenido a Miami! You better rent a car from the airport (from $27.70 per day, a low by $1; expires December 31), pump up some killer tunes (perhaps The Proclaimers' "I'm Gonna Be (500 miles)"), and head towards the beach to get your awesome on. Naturally, all work and no play makes Swarley a dull boy, so let the kid inside you out with a 3-night stay at the Walt Disney World Dolphin Resort in Walt Disney World, Orlando. 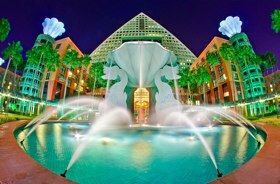 The package includes a room upgrade, extra Magic Hours, and complimentary shuttle transportation to theme parks. Those freebies are obviously great, but want to know the best thing about Disney World? All the Disney characters love giving high fives. True story. If, like us, you have a second awesome gland, shack up with a 4-night stay at your choice of these LXR Luxury Resorts & Hotels around Florida (from $74.25 per night; expires September 26). Ballin' properties include the Hyatt Regency Pier Sixty-Six, Buena Vista Palace Hotel & Spa, Miami Beach Resort, South Seas Island Resort, and more. Several of these hotels are as luxe and sharp as a finely-tailored suit, but at a price that's affordable, like maybe you secretly bought it from a Russian clothier on the cheap. Since How I Met Your Mother (aka, HIMYM) is still one of the most watched shows on TV, we figure your tastes may not be limited to Barney Stinson alone. So, why not base your holiday decisions on the choices of some of the other characters? Remember, they're fictional. For Robin: a stay for two at the Hotel Victor in Miami plus a $50 spa credit (from $139 per night, a low by $29; expires June 6). You're probably thinking that the level of awesomeness has peaked by now, and cannot go higher. Challenge accepted! This Carnival Cruise 7-Night Caribbean Cruise for two with a $25 onboard credit (from $638, a low by $25; expires December 2) leaves Miami and stops in Cozumel, Mexico; Ocho Rios, Jamaica; and Grand Cayman. Did we mention that it's the least-expensive 7-night Caribbean cruise we've seen from Carnival? On board high-five! Florida could be your longest, craziest adventure yet, but if you're looking for a different kind of awesome, check out our weekly roundup of the top travel deals for additional discounted flights, hotels, and vacation packages. At the time of publication, these travel deals offered the lowest prices we could find. Deals may include blackout dates, additional taxes, and fees. Some of our prices may be based on mandatory double occupancy. Paula Kerrigan has taught English in Japan and Italy, and she has written for several e-zines aimed at westerners living abroad. 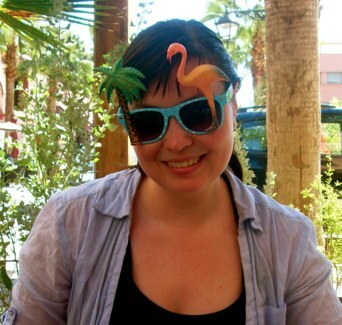 She uses her experience across the six continents to inform her travel features at dealnews. Follow @dealnewsfeature for the latest roundups, price trend info, and stories. You can also sign up for an email alert for all dealnews features.